A New Atari 2019 Calendar is available now. with working like a horse on the book, I also take the time out to keep an eye on a great many things Atari and have come across a new unofficial product produced by a guy based in Wales. there website cover, not just this,m but pretty much anything you could want or if it's not there they can make it for you. 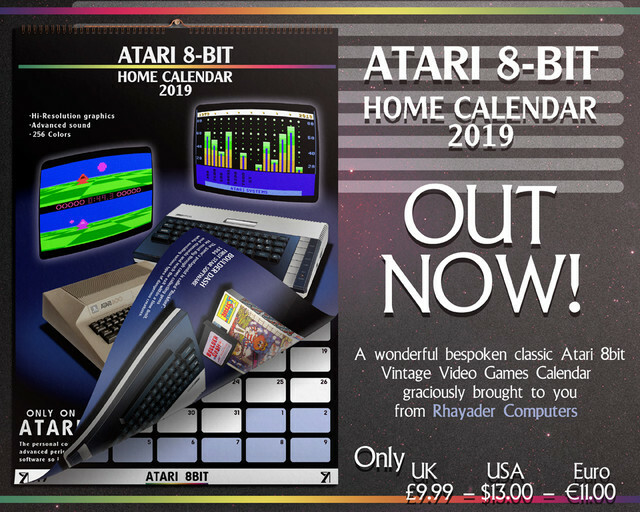 I have mentioned their website in the starting thread of my Atari visual history book project and reached out to them in help get awareness for this new and exciting looking 2019 calendar. and you can order yours from http://www.rhayadercomputers.co.uk don't delay, I'd hate for you all to miss out on this. 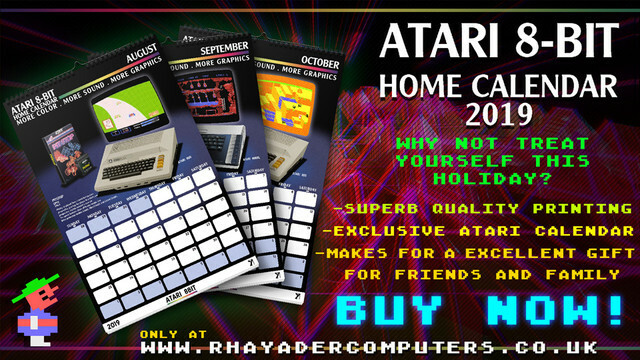 Re: A New Atari 2019 Calendar is available now.